the package will be manually transferred to the new address for processing at no cost. Get moving with $12 off base charge! What do you need to know about this change? 1When is the last day of operations for the old China warehouse? The last day of operations of the old warehouse will be 1st April 2019. We apologise for the sudden change of the warehouse address. 2What is the new China Warehouse Address? 3What is the operation hour of the new warehouse? Monday to Friday, 0900hrs to 1800hrs. 4Will there be any delay of processing of packages delivered to the new address? Fret not; there will be no delay being process of the packages even with new address. 5What will happen to my packages if they reached the old warehouse address after 1st April 2019? Packages that arrived at the old warehouse later than 1st April 2019 will be manually transferred to the new address for processing at no cost. 6Where can I locate the new China warehouse address information? The new warehouse address will be updated in your account on 1st April 2019. 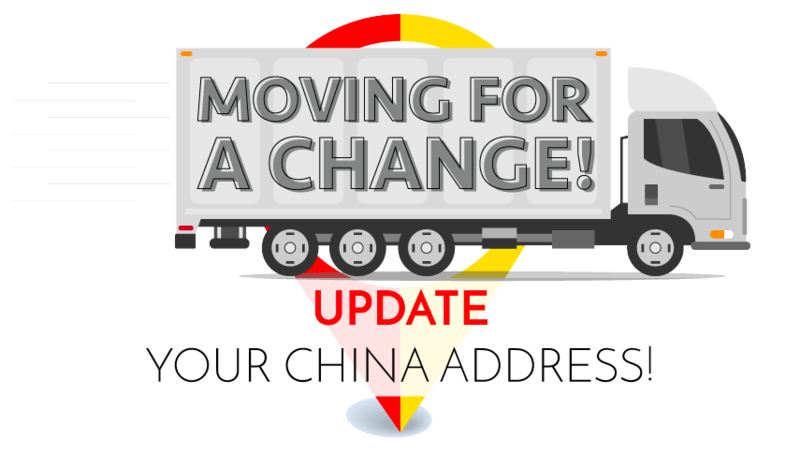 Alternatively, you may refer to our email sent, which will include our new China warehouse address at the footer. 7When will the new China warehouse be operational? Our new warehouse will be operational from 1st April 2019 and you may start to send your packages to the new warehouse address from 1st April 2019. For further inquiries with regards to the change of China Warehouse Address, please call our 24/7 Customer Service hotline at 1605 (Press #4 for 'vPost'), +65 6841 2000 (outside SG) or alternatively, you may leave us a message here .